If you thought Netflix and Spotify were just for binge-watching A Short Guide To Binge-Watching [Weird & Wonderful Web] A Short Guide To Binge-Watching [Weird & Wonderful Web] Netflix and Amazon Prime Instant Video have turned binge-watching into a mainstay of the mainstream. Before you begin binge-watching TV you should arm yourself with some important information. This short guide helps. Read More Orange Is the New Black or listening to the entire back catalog of Madonna in one sitting, think again. Of course, these services primarily exist to entertain their users, but did you know they also offer a valuable educational experience, especially for children? This could certainly make parenting a whole lot easier. Instead of sitting your kids down in front of endless re-runs of Dexter’s Laboratory, why not make them watch or listen to something informative instead? In this article, we teach you how to educate your kids using nothing but Netflix and Spotify. Netflix has provided some wonderful features that enable you to maximize the service as a learning tool. Instead of letting your kids have free reign over your personal Netflix profile, you should set them up their own personal profile. This has some great benefits. For example, you can set the maturity level for each individual child’s profile. Netflix provides you with two choices: For Little Kids Only and For Older Kids and Below. Obviously, the types of shows displayed within the profile will then be age-suitable. Giving them their own profile also lets Netflix learn about the types of shows they enjoy watching. 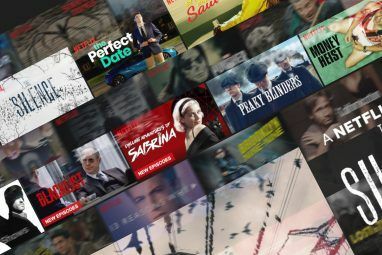 Over time, Netflix will provide recommendations How to Recalibrate Your Netflix Recommendations How to Recalibrate Your Netflix Recommendations Netflix's recommendation engine is pretty good most of the time, but sometimes it can get screwy. Here's how to recalibrate it to your changing tastes. Read More based on this information, so if your child shows a penchant for science-themed shows then more of the same will start popping up. Lastly, the Netflix interface changes for children. They will get clickable character buttons that let them navigate directly to the shows those characters feature in, and the categories list becomes geared towards children. To create a new profile for your child from a computer, expand the drop-down menu under your name in the top right-hand corner and click Manage Profiles. Then click Add Profile and fill in the necessary details. Make sure you tick the box next to Kid?. Next, hit Continue and then click the pencil icon in the center of the newly created profile. This will enable you to set the maturity level, as mentioned above. Kids these days are often more technologically savvy than their parents. If you don’t PIN-protect your account, it won’t take long for their curiosity to get the better of them. Before you know it, they’ll have been traumatized for life because they watched Stranger Things at the age of six. Setting up a PIN is easy. Once again, you’ll need to open the drop-down menu in the top right-hand corner. This time, click on Account Settings > Settings > Parental Controls. You’ll be prompted to enter your password, and then you can make the necessary changes. The parental controls let you change the global settings for your Netflix account. Set the slider to the preferred position, and there will be no chance of your child watching something inappropriate. 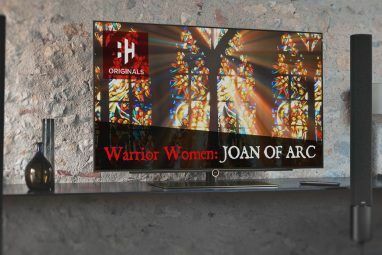 With almost 7,000 TV shows and movies on U.S. Netflix, it can be difficult to sort the enlightening from the shambolic. Just type www.netflix.com/browse/genre/[CODE] in your browser, replacing [CODE] with the respective number. In the example below, I used the code for Science and Nature TV (52780). Note that informative (but age-suitable) documentaries such as BBC’s Planet Earth are included, but so are kid-centric programs. There are times when audio is better than video — perhaps you’re on a long family road trip or you want control of the TV so you can watch your favorite sports team in action. Luckily, Spotify can also act as a fantastic educational resource. Clearly, some types of music are unsuitable for certain ages. Your 5-year-old probably shouldn’t be listening to Eminem or Metallica, for example. Even though Spotify doesn’t offer a way to filter clean and explicit versions of songs, the meaning behind the lyrics will be largely lost on youngsters. What’s more concerning is Spotify’s lack of ability to hide graphic album artwork. With that in mind, it’s not a great idea to let young kids use the service unsupervised. Fresh off the back of Spotify’s new gaming portal How to Find the Perfect Music to Listen to While Gaming How to Find the Perfect Music to Listen to While Gaming Video games are now considered an artform, and their soundtracks are an important element. However, sometimes you need to listen to something else while gaming, which is where Spotify comes into its own. Read More , the streaming service has now introduced a new Kids and Family section. If you’re using the web player, the new offering can be accessed at spotify.com/sing. The content is focused on children up to the age of five and offers playlists themed around typical daily routines The Daily Routines of Famous Creative People The Daily Routines of Famous Creative People Ever wonder how successful people like Charles Dickens, Sigmund Freud and Gustave Flaubert made it? They had routines. Read More such as bedtime, bath time, and play time. The idea is to help parents engage in language-rich activities with their youngsters. The songs themselves are melodic and easy-on-the-ear, but where the service really shines is with its interludes. You will hear various prompts, ideas, and conversation starters, all of which will help children develop their linguistic skills. The prompts are narrated by well-known stars such as Fantasia, Sarah Michelle Gellar, and Wiz Khalifa. This isn’t a cynical attempt to get more users. Spotify seems genuinely interested in offering a quality service. To this end, the company worked with some of the world’s foremost early childhood organizations to put the audio together. Even once your child moves out of the early development phase, Spotify can still be a valuable resource. For example, did you know Spotify boasts a spoken word genre Hate Music? Spotify Still Has You Covered Hate Music? Spotify Still Has You Covered Spotify's selection of music is well documented. But maybe you aren't a music person. No worries: the service has a cool but little-known genre called Word packed full of spoken-word selections. Read More ? If you’re using the desktop app, type spotify:genre:word in the search box, and if you’re on the web player navigate to play.spotify.com/genre/word. This genre contains masses of great educational material 5 Websites to Watch Educational Videos That Will Expand Your Mind 5 Websites to Watch Educational Videos That Will Expand Your Mind Watching videos is a fun and entertaining way to pass the time. If we were to watch every video available online, we could spend a lifetime. If you want to do more with your valuable... Read More . There are playlists for learning Spanish, French, Italian, and more, audiobooks of Shakespeare’s tragedies, the selected works of D.H. Lawrence, a playlist dedicated to pivotal moments in Irish history, and lectures on art, literature, philosophy, and psychology. The list is almost endless. Do You Use Entertainment for Education? 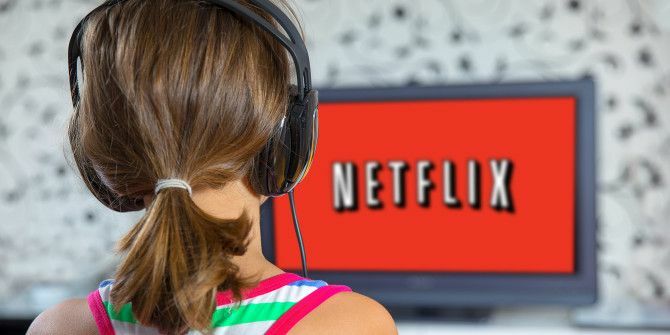 I’ve given you a basic introduction to using Netflix and Spotify as educational tools for your children, but there are lots of other ways you can make use of the content available. Have you found some additional tips and tricks for maximizing their usefulness? 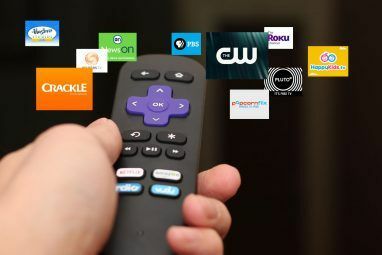 Are Spotify and Netflix even the best options – perhaps you’ve had better luck with one of their many competitors Netflix vs. Hulu vs. Amazon Prime: Which Should You Choose? Netflix vs. Hulu vs. Amazon Prime: Which Should You Choose? It has been years since we've compared heavy-hitting streaming services, Netflix, Hulu, and Amazon Prime. And with changes in pricing, content, quality, and interface, we thought it was time to revisit the topic. Read More ? As ever, we would love to hear your thoughts. Let us know how you use these services, whether for educational purposes or not, in the comments section below! Explore more about: Education Technology, Media Streaming, Netflix, Spotify, Streaming Music. Pin protecting a kid's account is all fine and good, but without the ability to pin protect the other accounts, they'll figure out that if they can't get to it on their account, they probably can on your account. Seems like pin/password protection should have been added a looooong time ago. Especially with the types of movies you can find nowadays.